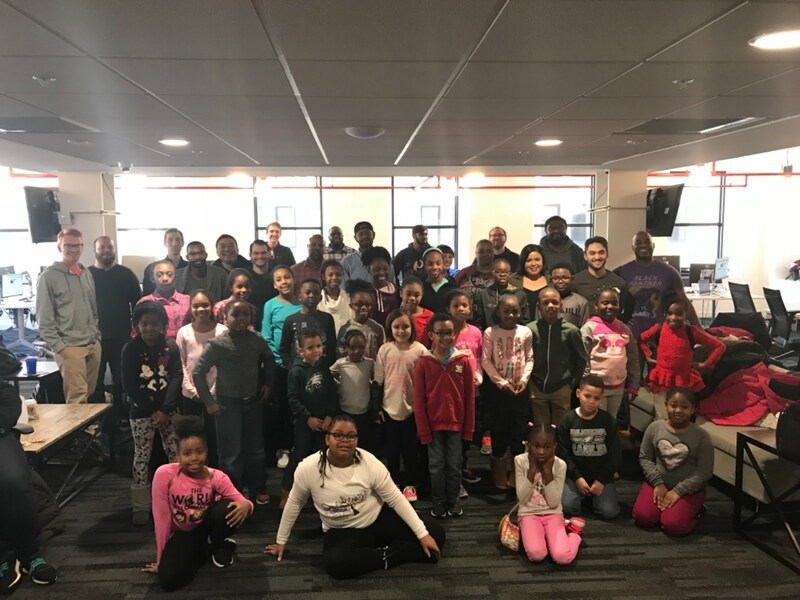 New Castle County (DE) Chapter Partners with The Future Promises Foundation, Inc. 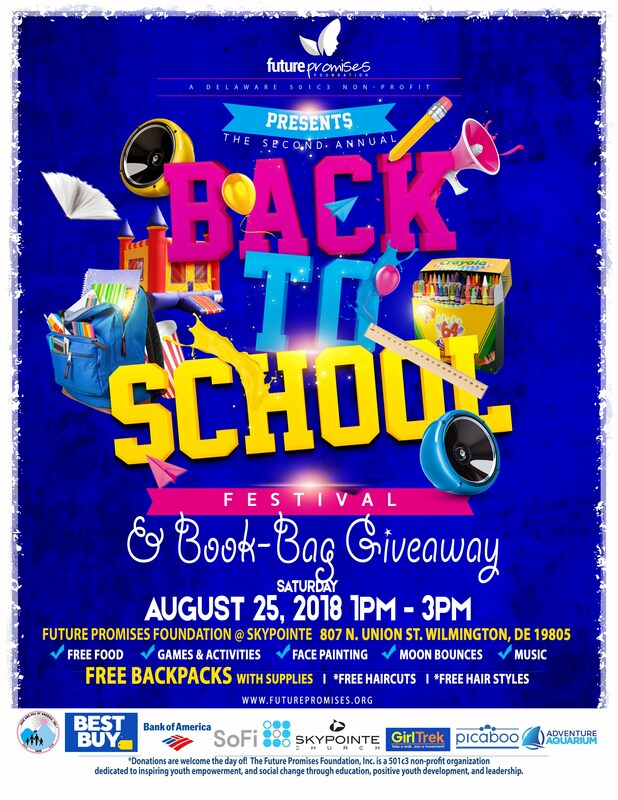 Annual Back to School Festival and Book-Bag Giveaway. 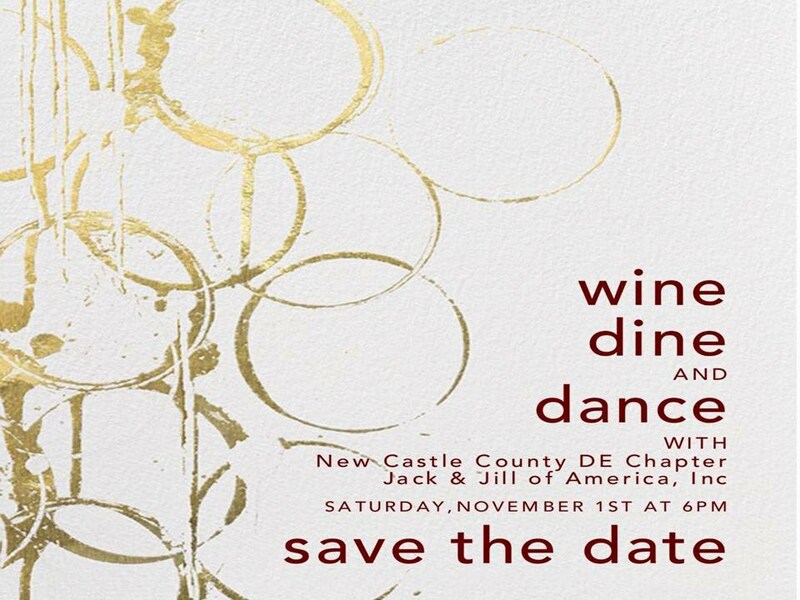 This event supports hundreds of at-risk youth in the city of Wilmington. To learn more, visit the Future Promises website: www.futurepromises.org. 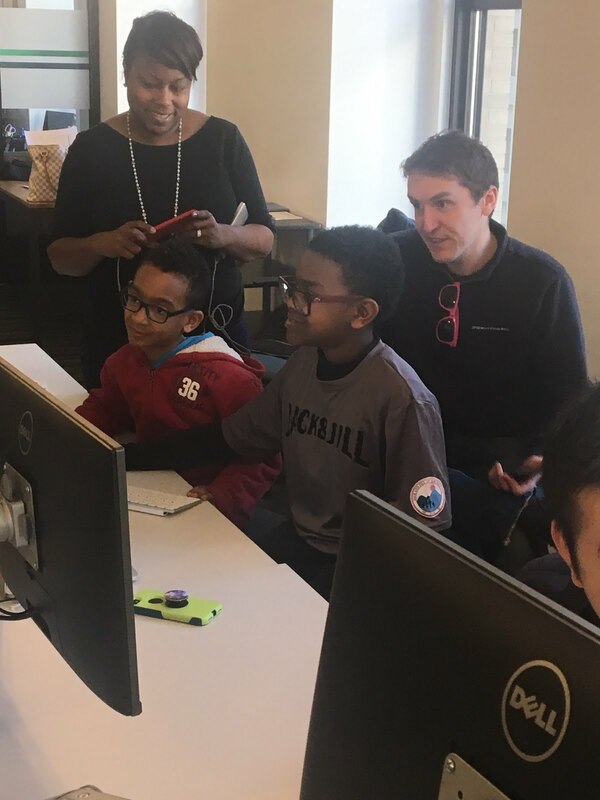 Producers and Champions Are Superstar Coders Thanks to Zip Code Wilmington! 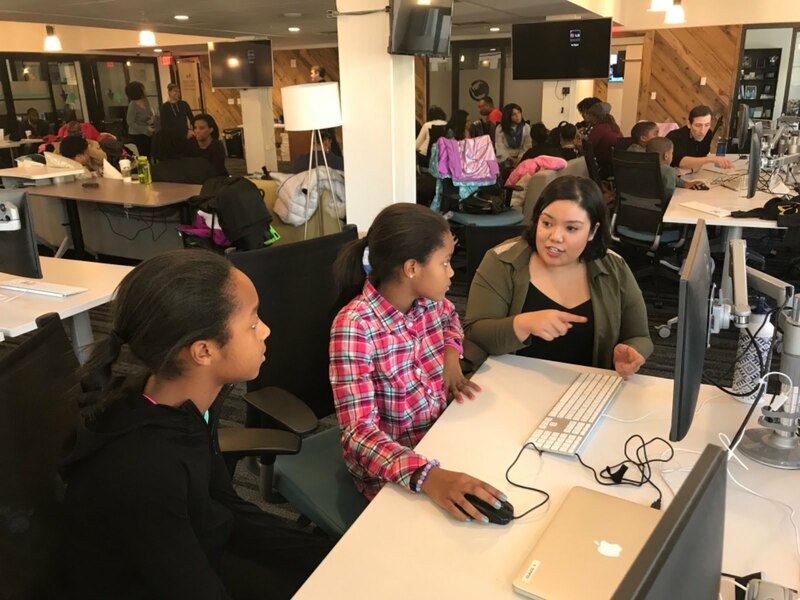 The Champions and Producers age groups participated in an amazing STEM activity led by the team at Zip Code Wilmington, Delaware's premier training program for software development. 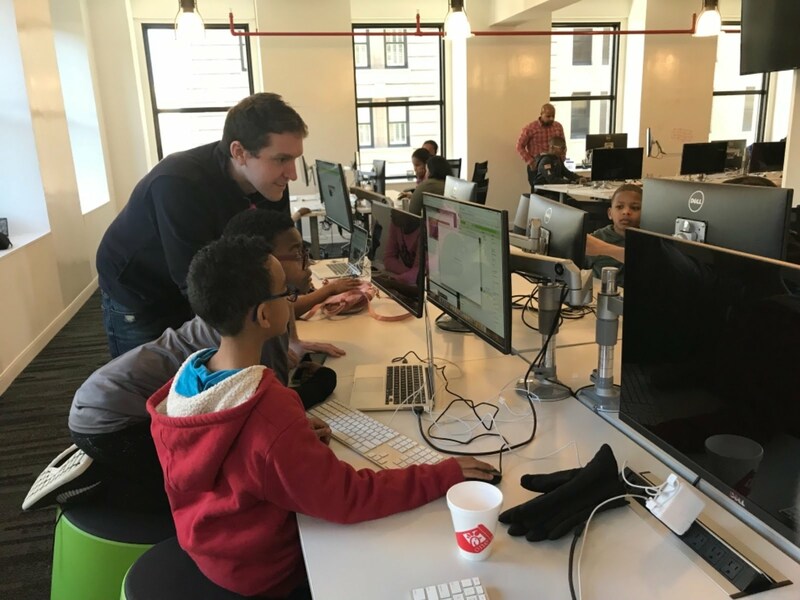 The children explored the world of computer programming and app development using MIT's Scratch and MIT App Inventor. Led by Zipcode alumni, the children were divided in pairs and worked collaboratively in this highly interactive workshop. Each pair used coding language to bring animated characters to life, put objects in motion and even create their own mobile app! In addition to being fun, this activity allowed the children to flex their logic and problem-solving muscles, while encouraging them to use their imaginations and showcase their creativity. THANK YOU to Tariq Hook and his team for providing such a fun and educational experience. We'd also like to extend special thanks to Mother Members Stephanie and Carla for planning a wonderful activity for our children. The mothers of New Castle County Delaware Chapter are proud to salute three outgoing teens, Kyla Crowder, Alexander Finch and Myles Morgan. While they're departure is bittersweet, we wish them endless success as they begin their college journeys! 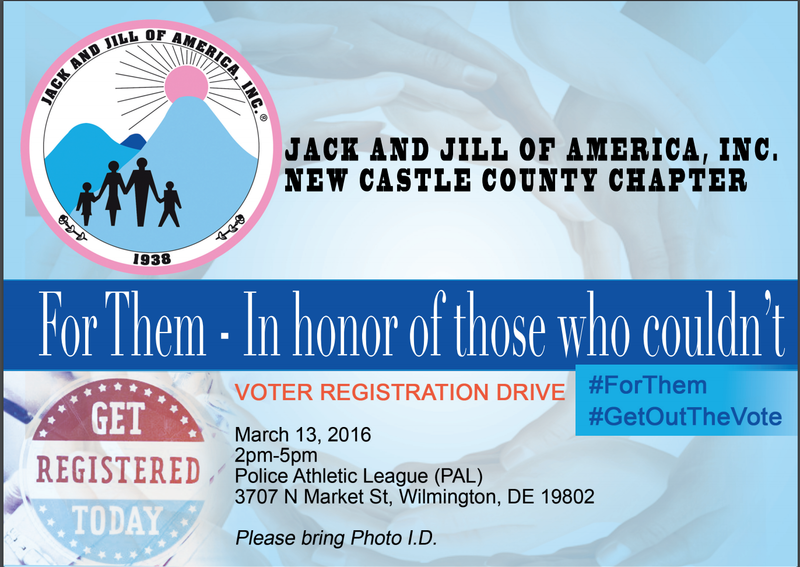 Wilmington, DE – The New Castle County (DE) Chapter of Jack and Jill of America Inc., an African-American mothers’ organization serving Delaware, will host a Voter Registration Drive Sunday, March 13, 2016 at 2 p.m. ET at the Police Athletic League in Wilmington. The theme of the drive, For Them – In Honor of Those Who Couldn’t, acknowledges the period of American history when many people were denied the right to vote. In partnership with Delaware Alliance for Community Advancement (DACA), the Chapter hopes this initiative will help ensure every eligible Delaware resident is registered to vote. In addition to voter registration, both groups hope the event will help educate the community about the election process and the emphasize the importance of exercising the right to vote. Chapter members and their children of all ages are participating in every aspect of the drive. Both the New Castle County (DE) Chapter and DACA believe it is never too early to teach children about the election process. From registering residents to community outreach, there are opportunities for even the youngest family members to participate. City and state representative have also been invited to lend their support. The New Castle County (DE) Chapter is pleased to work with Darlene Battle, Executive Director of DACA. With more than 20 years of experience as a community organizer, Ms. Battle is playing an integral role in planning the drive and training registration volunteers. About Jack and Jill of America, Inc. Founded in 1938, Jack and Jill of America, Incorporated is a membership organization of mothers with children ages 2-19, dedicated to nurturing future African-American leaders by strengthening children through leadership development, volunteer service, philanthropic giving and civic duty. Founded in 1975, the New Castle County (DE) Chapter has remained active in community service within the Delaware Community for more than thirty years. The chapter’s efforts are widely acknowledged by the community and have been recognized with awards including the Governor’s Award for Community Service. Delaware Alliance for Community Advancement empowers low and moderate income people in the New Castle County region to improve their communities through education, training, community organizing and outreach. Services offered by DACA include financial literacy, tax preparation, professional development, college and career planning, and immigration assistance. The fundraising committee completed the final project for the year. With the help of our Sr. Teens, Advisors, Moms and Dads we were able to paint the teachers lounge at Warner Elementary school a lovely cleary green. The color green, known as nature's color is thought to provide a calming effect by relieving stress. It is also known as soothing, restful, cheerful and health-giving. We hope the teachers and administrators are able to enjoy a relaxing break while educating our future leaders. Many thanks to our energetic team of Sr. Teens, Advisors, Moms and Dads! We are proud of our teens as they continue to serve our community and support our partnership with Children and Families First of Delaware. We also want to recognize Children and Families First for providing us with food and beverages throughout the day. The photos show a busy, productive and fun-loving group of volunteers! The New Castle County Chapter Producers (Grades: K–2) age group, held a Teddy Bear Brigade on Nov. 28, 2014. The Producers partnered with “Gleaning for the World” and other local organizations to make this event a success. The mission of “Gleaning for the World” is to provide gently used teddy bears to children who have suffered abandonment, a natural disaster, sickness, disease and war. The purpose of the activity was to have the children donate some of their own teddy bears to children who were in need after a major tragedy. 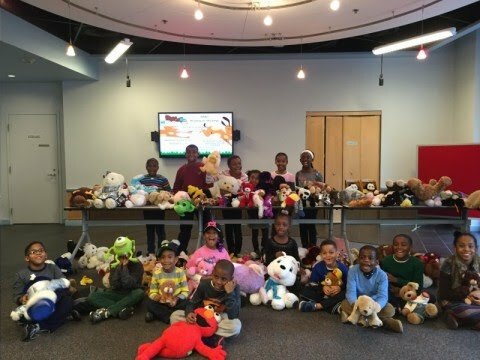 The children donated new and gently used teddy bears. Many of the children invited their dance groups; girls and boys scout troop and churches to support their efforts. The children also wrote letters to offer words of encour- agement to the children that would receive a teddy bear and thank you cards for those that supported the brigade. This community service activity helped the children learn the true meaning of giving and helping those in need. The children collected over 500 teddy bears. The year was 1975. A gallon of gas cost 44 cents; the average cost of a new car was $4,250 and the average income was $14,100. Jimmy Hoffa disappeared and Patti Hearst became most wanted and arrested for robbery. The Vietnam War came to an end. Arthur Ashe made history at Wimbledon. People were in an uproar with the start of computerized supermarket checkouts. Referring to the Universal Product Code (UPC), patrons asked, "How can these lines, which look the same, determine the cost of merchandise?" We managed and were not One Who Flew Over the Cuckoo's Nest. We did The Hustle, and knew that Love Will Keep Us Together. When necessary, we had to Fight The Power. More importantly, it was the same year that, then national president, Dr. Pearl W. Boschulte formally installed a provisional group into Jack and Jill of America, Inc., known today as the New Castle County Delaware chapter. The year is 2014 and we are FABULOUS at 40! As we approach our 40th Anniversary, the Fundraising committee is diligently working to close out the last few tasks for our celebration. We are certain that you are ready to look fabulously chic like a Shining Star, as you all are Some Kind Of Wonderful. Else, there will be Kung Fu Fighting! We completed our book drive by collecting over 300 books. On January 10th we will paint the teachers' lounge at Warner Elementary School. The logistics for this event will be communicated via email at a later date. The New Castle County of Jack and Jill of America, Inc. started off our program year with a chapter wide activity and was an enjoyable time had by all. 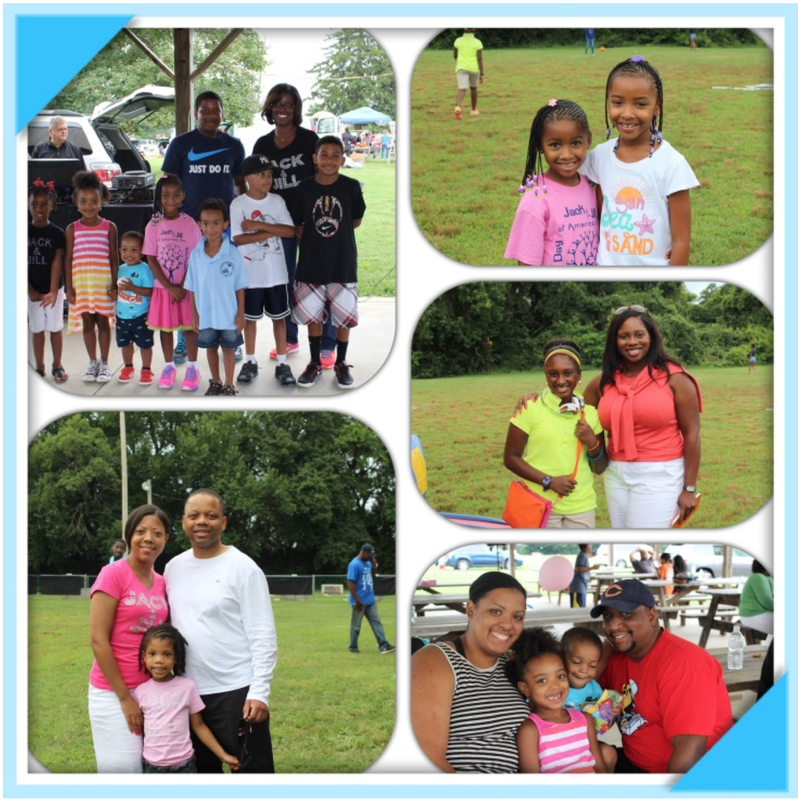 Our annual Jack and Jill Day, held in August, was an event to fellowship together, to celebrate our children whom are moving into new age groups and to recognize Carole Robertson, with a special tribute. The day was cloudy, but we certainly did not let the possibility of rain stop our fun. There was food, music, games and a moon bounce, which is always a huge success for our little ones. Our Jack and Jill Dads, as always, showed tremendous support, during our event, by assisting our children with games. In memory of Carole Robertson, our Sr. Teens recited the poem “Birmingham Sunday” by Richard Farina and held a moment of silence in her honor. This was a wonderful event to “officially” kick of our 2014-2015 program year. Be the change you seek in the world by making adults take notice of young people. Through workshops, we learned about the issues affecting families across America like gun violence in black communities, the effort to weaken the Voting Rights Act, and the school to prison pipeline pushing student out of schools and into the criminal justice system. Then we were inspired by a march to the Martin Luther King Memorial where undercover of darkness, we lit our candles to remember Jack and Jill member Carole Robertson who lost her life in the Birmingham bombing in 1963. We read the walls of words that Dr. King spoke during the Civil Rights Movement and felt the importance of his contributions. That was just a prelude to a meeting with Congressman John Lewis the next day who told us, “The day will come when African Americans, Asians, Latinos and Whites will live together in a multicultural world.” His advice to us was to pace ourselves, study, read every day, keep up with current events and when we get the chance, strike out against inequality. He said the struggle doesn’t last just a few years, it is a struggle of a lifetime. He urged us to, “Use what you have to make a change. Find a way to get in the way!” Despite all the violence he endured during the Civil Rights Movement, he said to us, “Never hate because hate is too heavy a burden to bear.” This from a man who was arrested 40 times and almost died in a Greyhound bus station. How could you not be moved to follow through on the Jack and Jill objective to advocate for all children, practice non-violence, and make your voice known to Congress and other elected officials about the injustices that still exist today!